See also fs quark by ETHproductions. 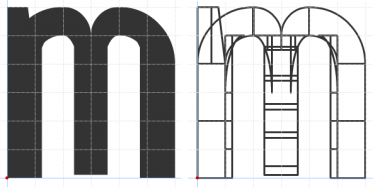 No horizontal grid stretching, only slightly vertically. Info: Created on 23rd May 2013 . Last edited on 18th August 2013. Is it just me or is Live really late in reporting "(user) has recently updated (font)"? Great start! I like the c and w the way they are. 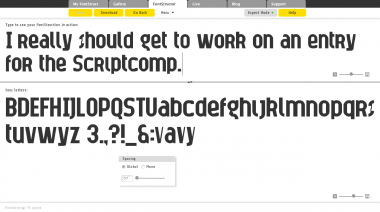 I've cloned this font, and I'm working to make the letters you have not yet. When it is finished (or nearly), may I make it public? It will be clonable. 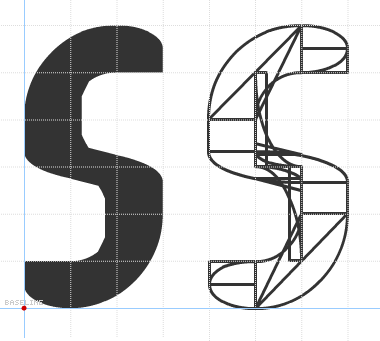 Also, here is a suggestion for a wider s. It may or may not work better than the current s.
I think I'd rather keep the s the way it currently is, though. Thanks anyway! Just published my clone. BTW, why are the alternates in Bopomofo?